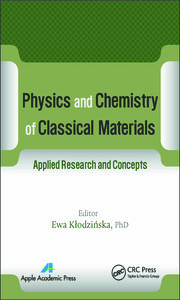 The aim of this book is to provide both a rigorous view and a more practical, understandable view of industrial chemistry and biochemical physics. This book is geared toward readers with both direct and lateral interest in the discipline. 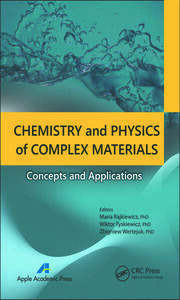 This volume is structured into different parts devoted to industrial chemistry and biochemical physics and their applications. Every section of the book has been expanded, where relevant, to take account of significant new discoveries and realizations of the importance of key concepts. Furthermore, emphases are placed on the underlying fundamentals and on acquisition of a broad and comprehensive grasp of the field as a whole. With contributions from experts from both the industry and academia, this book presents the latest developments in the identified areas. 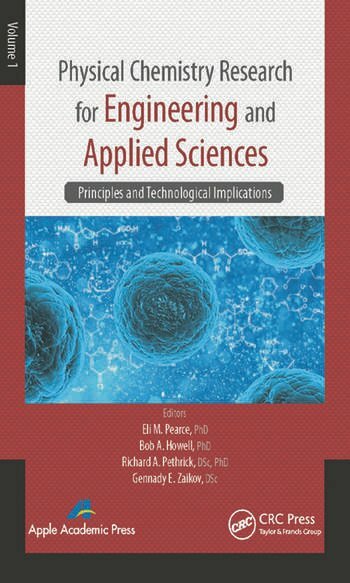 This book incorporates appropriate case studies, explanatory notes, and schematics for more clarity and better understanding. Dr. Eli M. Pearce was president of American Chemical Society. He served as dean of the Faculty of Science and Art at Polytechnic Institute of New York University, Brooklyn, as well as a professor of chemistry and chemical engineering. He was director of the Polymer Research Institute, also in Brooklyn. At present, he consults for the Polymer Research Institute. 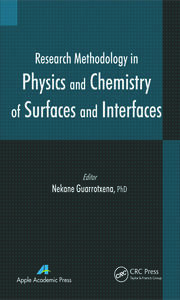 A prolific author and researcher, he edited the Journal of Polymer Science (Chemistry Edition) for 25 years and was an active member of many professional organizations. Bob A. Howell, PhD, is a professor in the Department of Chemistry and Director of the Center for Applications in Polymer Science at Central Michigan University in Mount Pleasant, Michigan. He received his PhD in physical organic chemistry from Ohio University in 1971. His research interests include flame retardants for polymeric materials, new polymeric fuel-cell membranes, polymerization techniques, thermal methods of analysis, polymer-supported organoplatinum antitumor agents, barrier plastic packaging, bioplastics, and polymers from renewable sources. A particular current research interest is the development of nontoxic, environmentally friendly flame retardants based on renewable biosources. RichardA. Pethrick, PhD, DSc, is currently a research professor and professor emeritus in the Department of Pure and Applied Chemistry at the University of Strathclyde, Glasglow, Scotland. He was Burmah Professor in Physical Chemistry and has been a member of the staff there since 1969. He has published over 400 papers and edited and written several books. He currently holds a number of EPSRC grants and is involved with Knowledge Transfer Programmes involving three local companies involved in production of articles made out of polymeric materials. He has acted as a consultant for BAE Systems in the area of explosives and a company involved in the production of anticorrosive coatings. Dr. Pethrick is on the editorial boards of several polymer and adhesion journals and was on the Royal Society of Chemistry Education Board. He is a Fellow of the Royal Society of Edinburgh, Royal Society of Chemistry, and the Institute of Materials, Metals and Mining. Previously he chaired the "Review of Science Provision 16-19" in Scotland and the restructuring of the HND provision in Chemistry. He was for a number of years the deputy chair of the EPSRC IGDS panel and involved in a number of reviews of the courses developed and offered under this program. He has been a member of the review panel for polymer science in Denmark and Sweden and the National Science Foundation in the USA.